A strange story about the Great Pyramid of Giza appeared in the March 2000 issue of the Egyptian magazine Rose El-Yussuf. According to the article, in 1988, French Egyptologist Louis Caparat, discovered this mummy in 1988 in a secret room of the Great Pyramid and, “was found in a crystalline transparent case. At first the alien appeared to be hibernating,” or in a state of suspended animation. It’s believed to be a “humanoid,” which is a mix between an extraterrestrial race and human DNA. A papyrus found near the body tells of this being’s encounter with the Pharaoh Khufu. 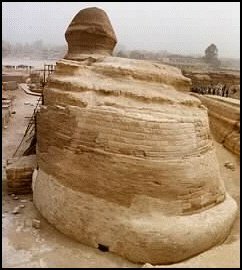 Apparently, it said that this convinced the Pharaoh to build the Great Pyramid as a tomb for this being after he had announced the future arrival of other beings of his species (Source: the Egyptian magazine “Rose El-Yussuf” relayed by “The World Of The Unknown” in Issue 283 April 2000). It was also determined from the papyrus that the people whom lived in Egypt during the Neolithic period was already very mixed, mostly consisting of people from the Mediterranean and Negroid that were dolichocephalic (Greek word meaning to have an elongated head). The last update on this was that “Caparat sent a message to a colleague in Spain, Francisco de Braga, a biologist, inviting him to come to Egypt” to take blood, cell, tissue and DNA samples from the dead alien.” But when Dr. de Braga arrived in Cairo, he was detained by the Egyptian Ministry of State Security and put on a plane back to Madrid. 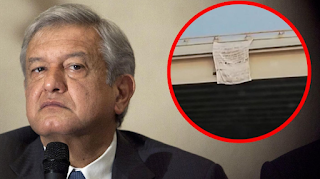 According to Rose El-Yussuf, the dead alien was taken to a laboratory at an undisclosed location by Egyptian military intelligence. 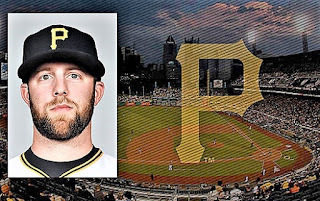 Editor’s Note: Please take this story with a grain of salt. Mysterious dead bodies have been turning up in the Great Pyramid since Abdullah Al-Mamun first broke into the Great Pyramid in 813 A.D. Abdullah, who was the son of the famous caliph, Haroun Al-Raschid, hired a crew of Egyptians who laboriously bored a hole right through the Pyramid’s wall. 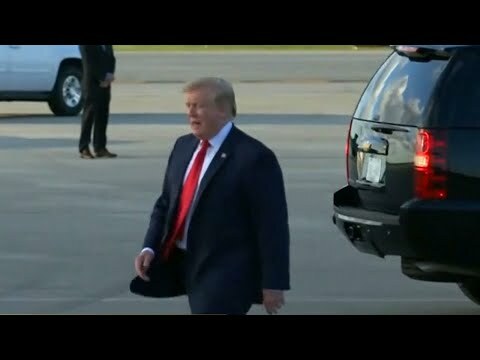 On the other hand, there have been a lot of strange goings-on at the Great Pyramid since 1996, including secret UNESCO teams visiting, unmarked military vehicles and black helicopters seen at Giza, and the recent round of heavy construction.. It’s anyone’s guess what is really going on out there. 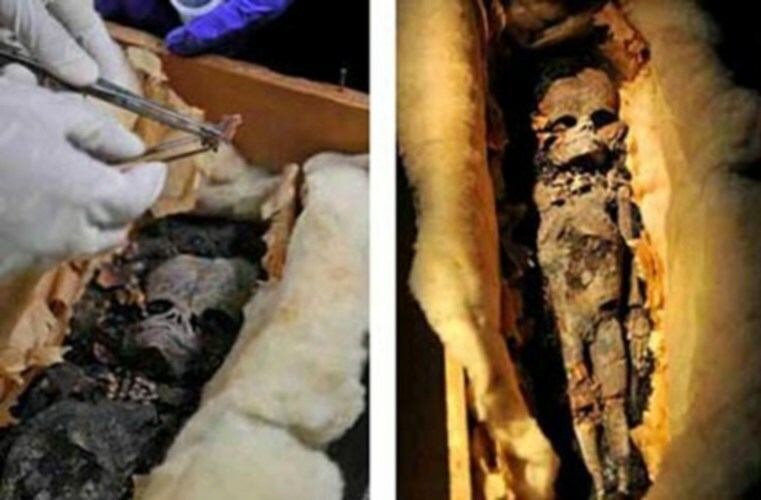 The anonymous person that provide this find’s details claimed that the discovery has caused great controversy among Egyptian officials, who want to keep it hidden until a “plausible explanation” for the strange mummy can be made. The Egyptian government has consulted a number of respected archaeologists, but to date none can explain the finding in ordinary terms. 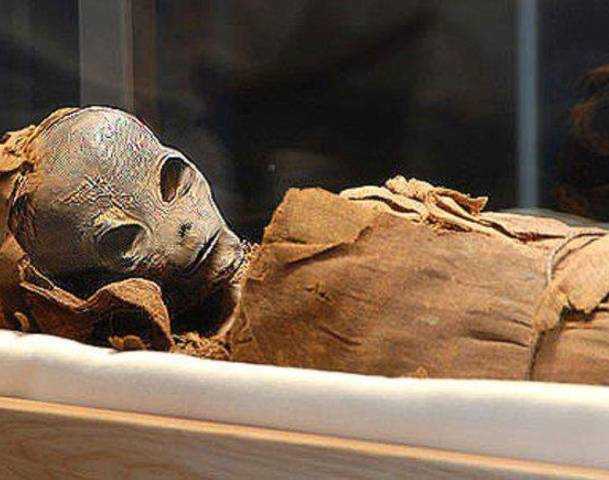 According to the source, “The Egyptians refuse to believe that their heritage came from outer space.” The last update on this was that the mummy was to be flown to a university in Florida where specialists will examine it more closely. It turns out that the CIA has banned archaeologists to excavate in certain areas. Some journalists had already noticed that the CIA was very interested in making their own excavations before the ban was put in place. 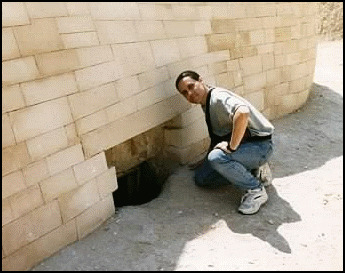 So far there are three “hidden” openings around the Sphinx that lead to underground tunnels that are prohibited. One opening is located in-between the two front paws, another on the south side, and one on the north side. 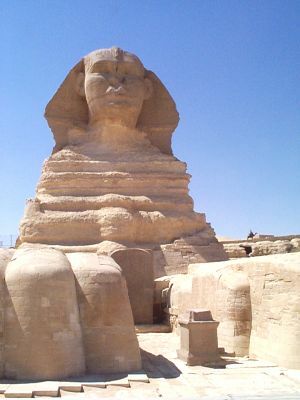 According to the British journalist Graham Hancock, the CIA has discovered not one, but 9 chambers under the Sphinx, some of which containing metal objects. These hidden underground chambers were actually recorded in the Emerald Tablets that were supposed to be written by Thoth/Hermes. 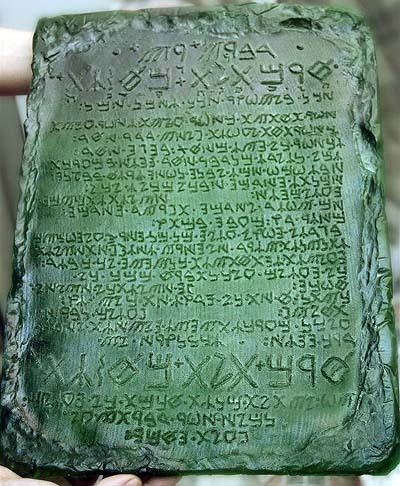 The Emerald Tablets were said to be each molded out of a single piece of emerald (green) crystal, with its true origin (possible Atlantis) lost in legends that go back over 10,000 years. Its first known translation was made into Greek by Alexandrian scholars and was actually put on display in Egypt in 330 B.C. However, around 400 A.D. it was reportedly buried somewhere on the Giza plateau to protect it from religious zealots who were burning libraries around the world at that time. If the intelligence agencies want to get their hands on a device or documents, it means they think that the civilization of ancient Egypt was, in some areas, much more advanced than ours. 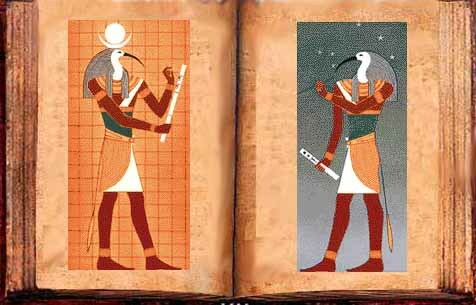 Two of the most well-known descriptions of aliens mating with humans, thereby creating humanoids, comes from Robert Temple’s “The Sirius Mystery” (which tells the story of the African Dogon Tribe) and Genesis in the Bible. Greek mythology refers to these giants as Nephilim, or fallen angels who have taught men: math, writing, music, witchcraft/alchemy, astrology, etc. These lessons were also listed in the Kabbalah, which caused many crusades to chase these secrets in Jerusalem. 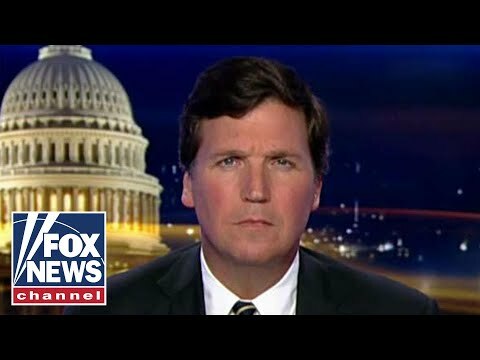 Why Aren’t Lead Democrats Coming to Ilhan Omar’s Defense? 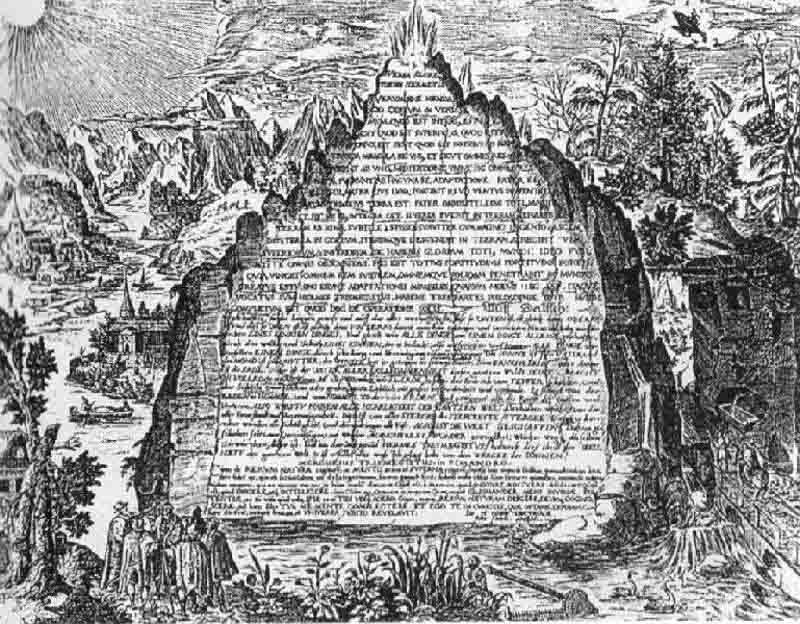 For once I will debunk any hibernating alien theories, some say that the pyramids are over 14,000 years old, snufu(Sneferu ) may well have just built on a stepped pyramid already there containing all the arceology. All living things have both DNA/RNA so have absorbed radioactive isotopes such as Carbon 14 half life 5000 years and Potassium 40 (40K) which is a huge emitter of gamma radiation (5,000 Bq) in all about 0.3 mSv per year dosage from these and other isotopes – that is for a human, however just having a giant pupa in a coffin without some means of DNA and RNA repair and scubbing of these isotopes out prior to hibernation means anything hybernating died when the pyramids were still being built and will not be waking up again since it’s biology is no longer functioning, as much a corpse as the mummies surrounding it. If you have all the elements of a man and put them in a bucket minus the water you will just have dust which is totally inanimate and never again will be(freeze drying and just adding heat and water just will not do), and this is all just as true if the body was kept at absolute zero since radioactive decay is still going on and you have now the added problem of reanimating a frozen body where ice will have exploded all the cells.